Please Note: to parents and guardians of readers of my Sprite Sister/Cantrip Sister stories – Boudica’s Daughters is not aimed at younger readers. The story is intended for young adult and adult readers. It contains references to drug and alcohol use, sexual violence and bad language. Fifteen-year old Lilla Harrison knows who she is, but her awkwardness and her psychic power set her apart. Doubted by others, she is the clumsy younger sister to Janey’s ‘swan’. In the sweltering July heat the Harrison family move to Grove End, an old farmhouse deep in Norfolk’s Breckland. Two thousand years ago the area was home to the Iceni tribe and their Warrior Queen, Boudica, who led the rebellion against the occupying Romans in AD 60. Now, Nighthawks – illegal metal detectorists – are searching the woods at Grove End for Iceni treasure. 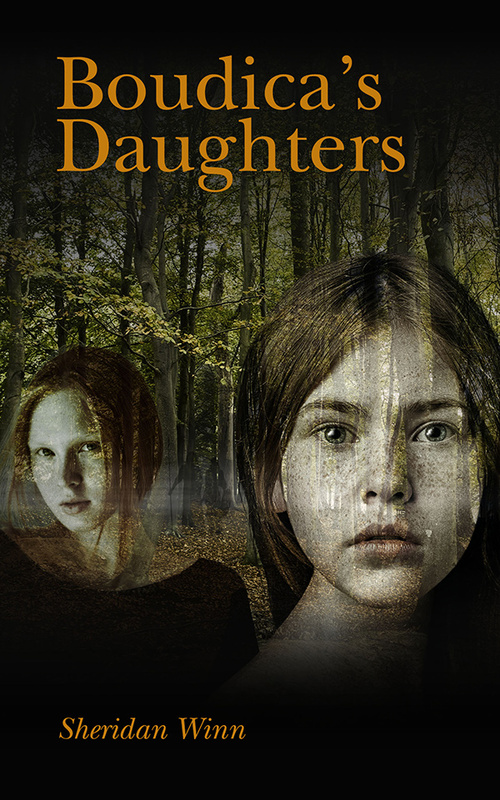 When Lilla sees the ghosts of Boudica’s daughter, she learns the trees hide an ancient mystery. Janey’s arrival home brings upset as she reveals her own dark secret. Overwhelmed a sense of failure, she no longer knows who she is or what she wants. Shocked and struggling to cope, her parents try to help but are wrestling with their own feelings. It is Lilla who must find the strength to help her sister. With Boudica’s daughters as her guides, her journey takes her into the ancient past and tests her sense of self-belief to the limit. Can Lilla save her sister and lay the Iceni bones to rest? To gain authenticity for the archaeological aspects of the story, Sheridan had the help of Dr John Davies, chief curator, Norfolk Museums Service, and Dr Adrian Marsden, numismatist and finds liaison officer, Norfolk Historic Environment Service. The book is currently with Sheridan’s agent, Jane Willis, at United Agents and is also available as an e-book.